Any runner that has set a goal time for an event has likely used some type of pace calculator in preparation for race day. Unfortunately, standard pacing calculators estimate times and splits by using average pace per mile, which is not very accurate. This is why TrainingPeaks created The Pacing Project- a new and innovative way to calculate finishing times and a pacing strategy that takes into account course terrain and the runner’s energy output. Built off the highly accurate time prediction modeling of Best Bike Split, The Pacing Project takes the same modeling concepts and applies them to running. It is the only calculator that breaks courses down into segments based on terrain to give a specific pace for that segment. As Ryan Cooper, Chief Scientist behind The Pacing Project and Best Bike Split explains, “Standard pace calculators may tell you to run a 7 minute pace for a particular mile, but over that mile there could be a steep hill followed by a steep descent. Energy-wise, trying to hold that steady pace could completely wreck your race.” By revamping the Normalized Graded Pace model and looking at how top level elites and elite amateurs are pacing races, The Pacing Project is able to create a more accurate pacing strategy. Using The Pacing Project, runners can input a goal time, average pace, or recent event times to model their race day performance. “You can use The Pacing Project not only to see how you will do on race day, but also to set a proper goal time and tailor your training to ensure you meet your goal,” says Cooper. The Pacing Project will look to add more courses and metric calculations, plus, even more enhancements to increase accuracy, including weather, weight, altitude, and even run power. 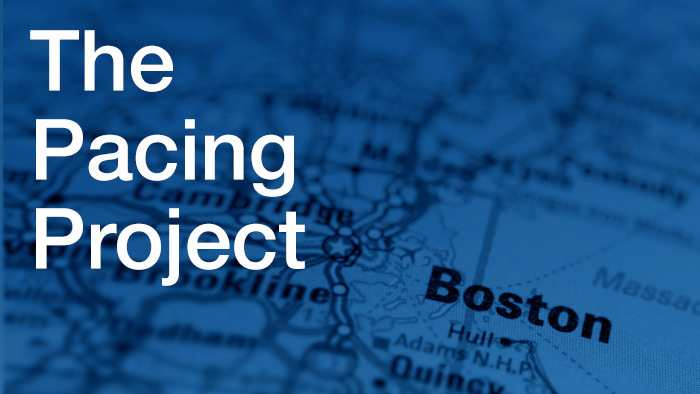 Visit The Pacing Project to find out more.